I’m super late this week with my weekly recap of AMC’s The Walking Dead, life has just gotten in the way too much. Rather than not post one at all (or post it some time AFTER episode 12 has aired) here is a quick recap to tide you over. And so Merle sums this season up beautifully. It will be interesting to see if Merle will mellow over the coming weeks and if he can be just as lovable as his brother, Daryl (Norman Reedus). Rick’s (Andrew Lincoln) position as leader is getting shakier with every passing day. 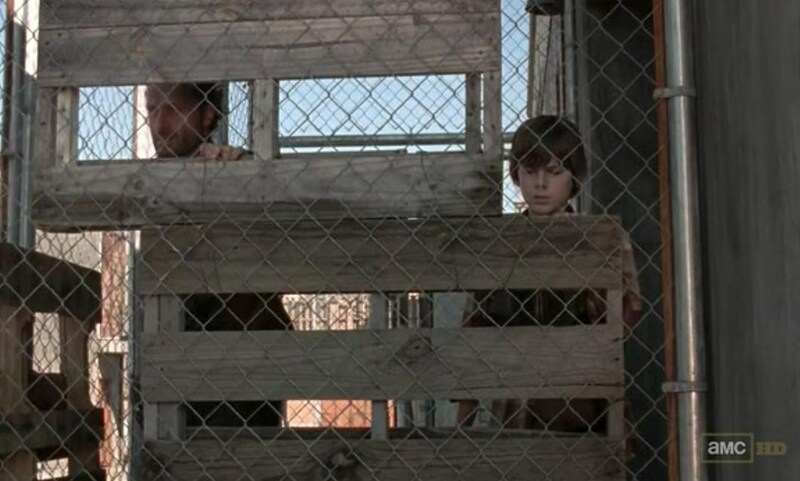 Even his son, Carl (Chandler Riggs), is telling him to step down. Honestly, I think his time is up as far as leading the masses is concerned. He needs to grieve for a while and let the others worry about Woodbury. As far as leader material goes, Glen (Steven Yeun)needs to give up the cause too. He is too close to the edge of a nervous break down as well.Hershel (Scott Wilson) may be old and missing a leg, but IMHO, he is EXACTLY what the prison crew needs for the time being. That and to take Merle’s advice and get the hell out of the prison! So Andrea (Laurie Holden) is still blind to the Governor and plots a plan to escapeWoodbury and visit her old friends. The Gov. says no but she decides to sneak out anyway. Stupidly she entrusts Milton the snitch (Dallas Roberts) with this secret and he rats on her. 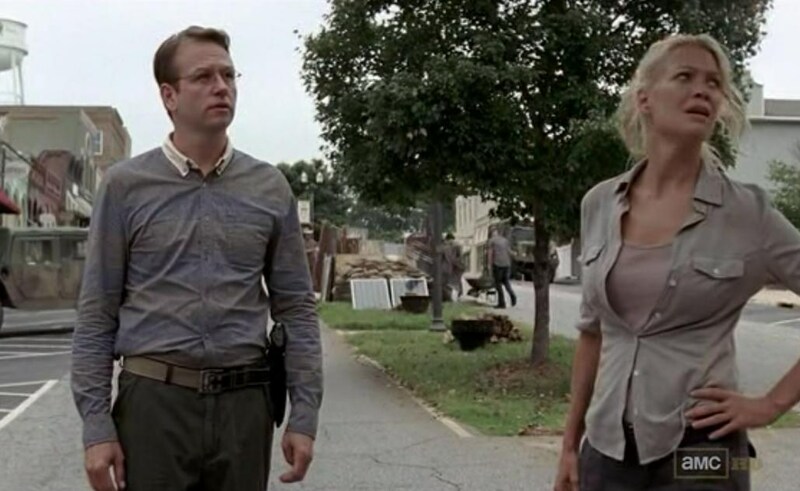 Of course the Governor lets her go (and tells Milton to tag along) all in the name of espionage, I guess. During their break out, they come across the Tyreese crew and Milton leads them back to Woodbury while Andrea travels on alone. While the comic books have Tyreese (Chad Coleman) as a friend of Rick’s, I get the distinct feeling that this won’t be the case in the TV series. I think AMC have plans for Tyreese and his group to gang up withWoodbury and bring down the Ricktatorship. So Andrea gets back to the prison and surprise, surprise, she’s met with hostility. I’m ambivalent towards this storyline. So Andrea is trying to make everything better between the two tribes? Why do I not care? I think she needs to wake up and smell the coffee and get the hell away from the Governor. Bare minimum, she needs to pick sides and stay on her team! Although I was finding it kind of morbidly humorous when Andreahad to play catch up with everyone who’d died in the Ricktatorship since she’d left. Also, it was nice to see Carol (Melissa McBride) happy to see her though. 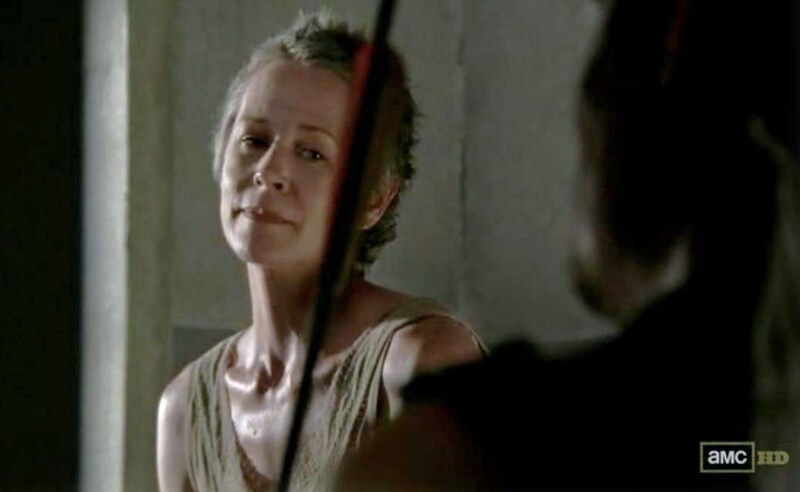 Carol tellingAndrea to sleep with the Governor and then kill him was just Walking Dead gold! And hello, Michonne (Danai Gurira) has a personality this week! 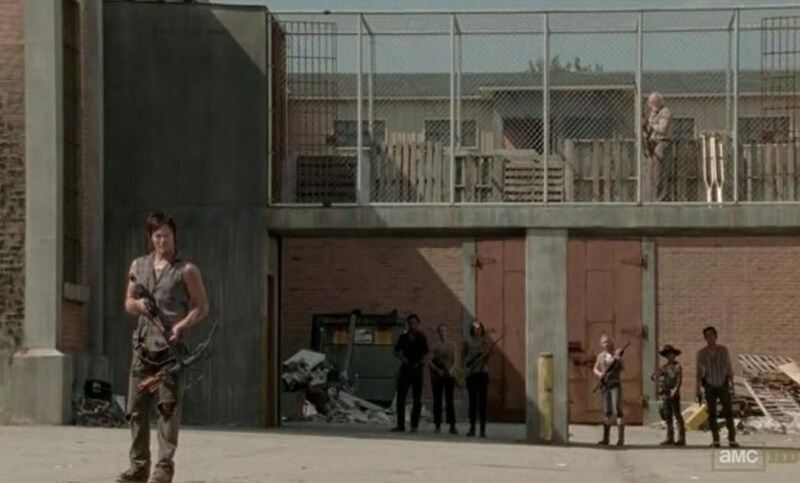 Anyway, the prison gang send Andrea on her merry way back to the Governor. They even give her a car. They may be hostile, but I guess once you’re considered one of the tribe, it carries some sort of obligation as far as helping you to survive. Still nothing happens romantically between these two this week. Really AMC, how long are you going to drag this on for??? It’s KILLING me! Yeah, I think AMC are messing with our heads! For those of you who love plot bunnies and conspiracy theories about The Walking Dead, I’m pretty sure there is azombie plant in our midst. 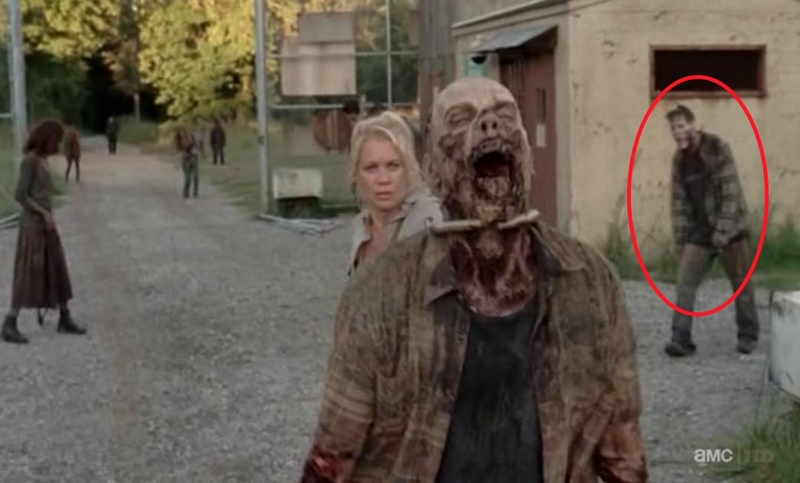 Check out the image below (and my article here) and let me know if you have seen this zombie before in previous episodes of The Walking Dead.